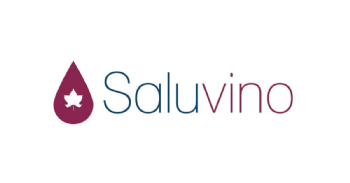 SALUVINO is a supraautonomic operational group that aims to produce quality wines that meet the market demand for healthy products, limiting the presence of chemical additives. This project considers the extraction of phenolic compounds with antioxidant and antimicrobial properties as substitutes or complementary to sulphurous dioxide. 1.- To optimize analytical techniques of extraction, identifcation and purifcation of phenolic compounds from residues of the wine industry and the liquor manufacturing industry. 2.- To evaluate the repercussion of the application of these extracts to the different stages of the wine as complementary or substitute of the sulphurous anhydride. 3.- To defne techniques for the application of these extracts, such as encapsulation, to avoid the modifcation of the analytical and sensory characteristics of the treated wine. To obtain different phenolic extracts for its application in the fermentation of white and red wine. Wines without or with a low sulphurous concentration, while maintaining their analytical and sensory characteristics within the established quality standards for white and red wines. Phenolic extracts formulations so that they can be added to wine without interfering with its characteristics. Orujos y Licores Augavella S.L. Fundación Empresa- Universidad Gallega (FEUGA). The creation of supra-autonomous Operational Groups is one of the key tools for the execution of the National Program for Rural Development 2014-2020, regarding a sustainable and productive agriculture for promoting the innovation in the agri-food and forestry sectors. It gathers agents of different profles with common interests, such as farmers, companies, research and educational centres, working together to establish innovative mechanisms and practices in order to provide a joint and multi-sectoral response to a given problem or need. This activity is funded under the National Program for Rural Development by the Ministry of Agriculture and Fisheries, Food and Environment, and by the European Agricultural Fund for Rural Development (EARDF). The General Directorate for Rural Development and Forest Policy is the management authority responsible for the application of the EAFRD and corresponding national assistance. (1,158 Mb) What is SALUVINO?